This easy little guide will help you with simple optimization tips for speeding up Ubuntu (12.04, 12.10, and 13.04) and other Ubuntu-based systems such as Linux Mint. The tips come in very handy for those using older computers with low RAM who need to boost their computer for better speed and performance and if you are just want a really fast and snappy computer on some regular hardware. 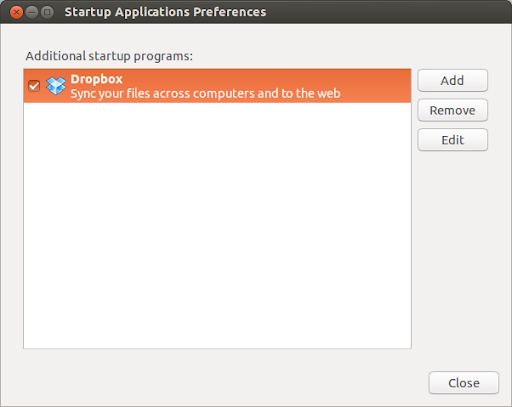 The following steps can be followed to completely remove the Ubuntu One client software. Ubuntu use the relatime flag for updating file metadata when files are accessed. All these updates involve writes to the disk. We can avoid this with the noatime and nodiratime parameters. This means that access time to files and directories won't be tracked at all. Use tmpfs for /tmp and /var etc. Adjust /etc/psd.conf to match your setup and then restart the Profile-sync-daemon. Your browser(s) needs to be closed before restart of the Profile-sync-daemon. Over time most Ubuntu/Debian installations acquire packages which are no longer required - they've just been pulled in to satisfy dependencies of software you've since removed - deborphan package is probably the simplest way to get rid of orphaned and unused packages. Clean browsers cache etc and vacuum browser databases. Use BUM, which is a runlevel configuration tool with GUI that allows Ubuntu users to edit and configure init services that are started when the system is booting up or restarting. With this tool, you will be displayed with all running and disabled services in which you can turn them on/off. To remove applications from startup go to Dash > and type Startup Applications. Disable automatic startup of any services that are not needed (or even remove the package completely). zRam is a module of the Linux kernel. It was previously called “compcache”. zRam increases performance by avoiding paging on disk and instead uses a compressed block device in RAM in which paging takes place until it is necessary to use the swap space on the hard disk drive. Since using RAM is faster than using disks, zRam allows Linux to make more use of RAM when swapping/paging is required, especially on older computers with less RAM installed.